1. I’m in London right now. Doesn’t need much of an explanation, but currently I’m in Londen. I feel truly blessed that I’m able to do what I’m doing now: to work with utterly inspiring people, chase my dreams, get to travel every now and then. What I like best about being abroad – sshhh little secret I’m telling you here, even though I’m pretty sure I’m not the only one doing this – is that I like to walk around my new and temporary neighbourhood, pretending I’m a local. Like this is my home, that coffee bar is my go to place for ages already and that laptop I’m carrying around? We and this fancy work place go way back ;) Being six feet tall and super blonde (Dutch!) doesn’t really help me in the process, but that’s all a matter of perspective, right? In Copenhagen no one will notice, in Barcelona blending in seems to be a bit more difficult and London? We feel like a great match. 2. Levi’s new Wedgie jeans. I’m a denim lover. Always been, always will. 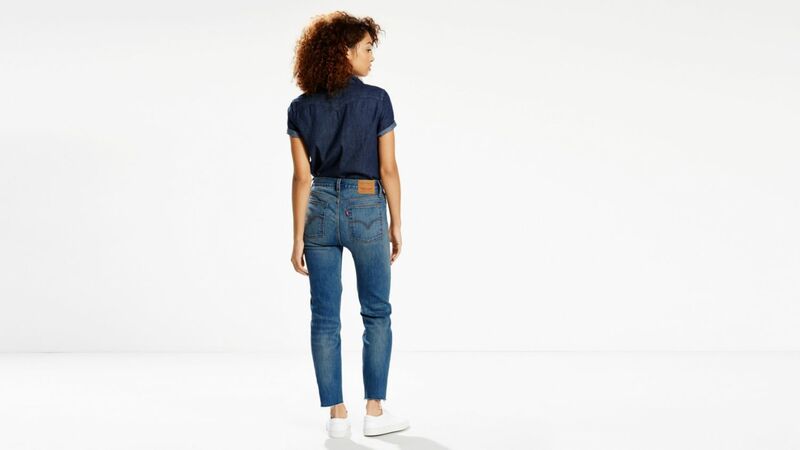 And as a true fanatic of classics, Levi’s – with their iconic jeans – is one of my go to brands when it comes to finding the perfect pair of jeans. Affordable, durable, perfect fit. Period. Recently Levi’s introduced their latest addition: the Wedgie jeans. Interesting name, even more interesting fit: ever tried wearing those awesome 501 jeans? I’m pretty sure you must have noticed that these jeans, because of their masculine/unisex fit, didn’t do you much justice crotch-wise.. The new Wedgie fit accentuates the waist, embraces the hips and emphasises the female shape. Awesome, can’t wait to try them on myself. Get yours here. I’m being completely honest here when I’m telling you the month of December is necessarily my fave. Of course I enjoy presents (getting them, but giving them away even more! ), loads of food and fancy parties, but those Christmas classics on the radio make me cringe, nothing tastes worse than glühwein and I’m a sucker for a tidy house (that damn tree doesn’t help, sorry Love). So every year – not kidding – I’m trying to convince myself I’m just not that into Christmas. And then it starts: I fully enjoy drinking a hot beverage (no glühwein ;)) on the couch with my man, love to light some candles, cosy up, enjoy time with my family (I don’t see them as much as I want to), walk around the enlightened and wonderful city I live in, contemplate the year has passed (yup, I’m like that!).. Sounds a lot like Christmas, right? So yeah. Christmas is cool. As long as you turn off those bloody Christmas carols, that is.